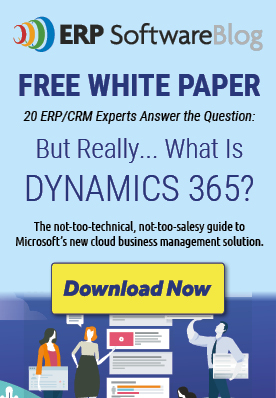 July 7, 2014 by iCepts Technology Group, Inc.
Microsoft Dynamics NAV has a strong financial management capabilities for your wholesale distribution or manufacturing company including basic financial management building blocks across many areas. Account Schedules in NAV are powerful financial reporting tools which can help accountants and financial analysts to extract the most essential business data from a chart of accounts, budgets, cash flow accounts and cost types into financial reports, which can be used to gauge business insights. With Allocations Functionality, a company can allocate general ledger entries to combinations of accounts, departments and projects using allocation keys based on amount, percentage, or quantity. Facilities for internal and external reporting. Approval for sales and purchase documents. Posting and reporting in your company’s base currency. Posting and reporting in an additional currency with the additional Multiple Currencies granule. Capability to link to external documents. Set up sales and purchase document archiving.